Get a digital download of the full album via email immediately after purchasing. 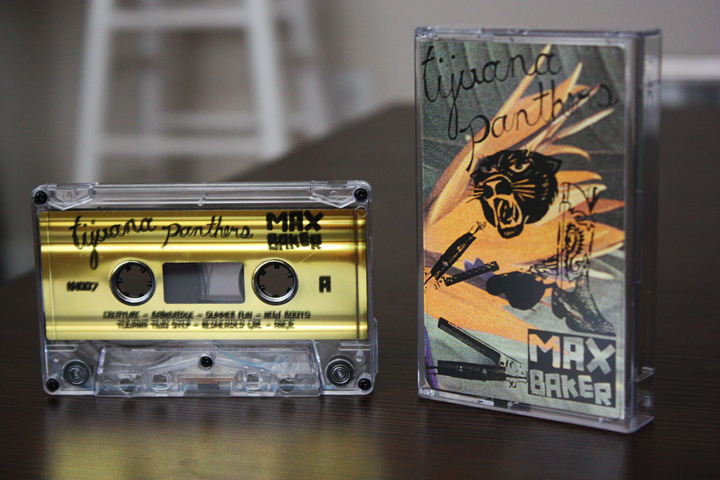 Self-released by Long Beach-based Tijuana Panthers in late 2010, Max Baker‘s unique and catchy brand of garage rock + surf pop is the perfect album for the end of summer — sunny and party-oriented with a little bit of cynicism and sarcasm beneath the surface. “Creature” sounds like a long-lost track from a 1960s jukebox while “Red Headed Girl” emulates the teenage pop ballads your parents listened to in high school. All copies of KH007 are dubbed by us onto a shiny gold C42 cassette. This release is limited to 50 hand-numbered copies and features a bonus track not included on the LP or digital versions of Max Baker! Head on over to the band’s Bandcamp to hear Max Baker in its entirety! Browse the Release archive. 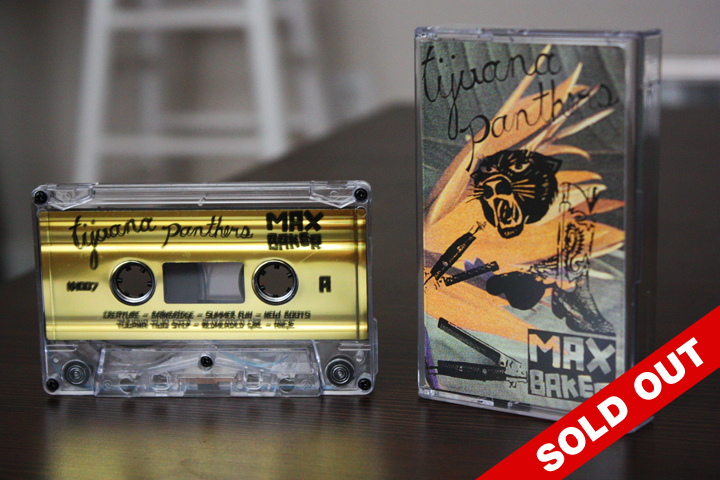 This entry was posted in TAPES, TIJUANA PANTHERS.